Families come in all shapes, sizes, and varieties. Most often parents are involved in a child’s life, but that’s not always the case. In some situations, grandparents wind up raising another generation of kids. They may be the only parents a child ever knows. Often this results from a parent battling mental health or substance abuse problems and leaving a child in the care of a grandparent for an extended amount of time. But what happens when they come back and want to cut off the connection between grandchild and grandparent? 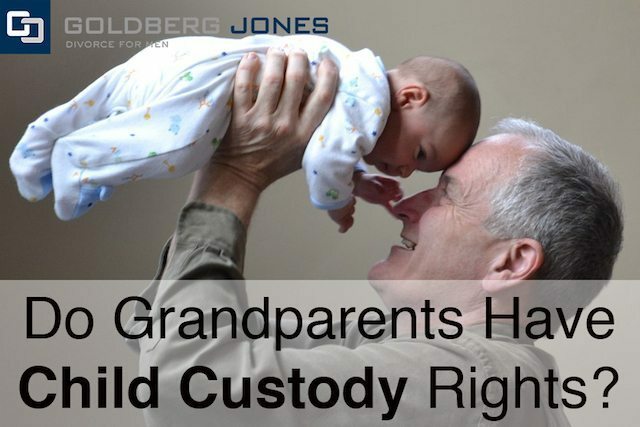 What rights do grandparents have when it comes to child custody and visitation in Oregon? The law protects the rights of parents, both biological and adoptive. These laws, however, don’t necessarily extend to grandparents. As in most cases involving minors, visitation or custody cases put the best interests of the children above other concerns. In most situations, the court presumes living with parents is in the child’s best interest, but it’s possible to show otherwise. In short, if a grandparent serves as the primary guardian and caregiver, filling the traditional parental role, there may be grounds for the court to award custody. Or at least, if they can show this, they have a sturdier case. Otherwise, the court isn’t likely to consider a grandparent’s child custody claim. Oregon doesn’t limit these third parties to grandparents or even a child’s blood relations. Anyone with an established child-parent relationship can file for custody. The rules governing this are, understandably, a bit different. Being awarded custody, especially against the objections of a present legal parent, is no easy feat. The grandparents, or another third party, need to prove that they truly represent the child’s best interests. They must rebut the presumption that it’s always better for a child to live with his or her parents. That the legal parent is either unable or unwilling to provide adequate care for the minor child in question. The grandparent, or another third party if that’s the case, is or recently was the primary caregiver for the child. If the request is denied, you must prove that it is detrimental to the well-being of the child. The legal parent has previously encouraged or even consented to the relationship between the child and the grandparent. That the legal parent restricted or outright denied contact between the grandparent and grandchild in an unreasonable fashion. How much the court weighs a particular component varies from case to case. Other elements and evidence are also up for consideration. At a basic level, taken as a whole, your case needs to demonstrate that the legal parent isn’t acting in the child’s best interest and that a change in custody represents a substantial positive shift. But just because you satisfy these points doesn’t mean the court will automatically rule in a grandparent’s favor. Judges and the law give a great deal of credence to the parent-child relationship. There are many cases where, for instance, grandparents were the primary caregiver for six months or longer, but the court still denied a child custody claim. Even if grandparents don’t pursue child custody, visitation is another avenue to remain in the lives of grandchildren. Like with custody, if there are issues with the parents or guardians, you have to petition for visitation. The grounds for grandparents being awarded visitation in Oregon are similar to those for custody. and if the parent has previously encouraged a relationship between grandparent and grandchild. Additionally, the court also weighs whether or not visitation will interfere with the custodial relationship. Third party custody cases, whether they involve grandparents or not, are complicated. It is likely in your best interest to hire an experienced attorney. As with most situations involving children, their best interest takes precedence over parental preference and convenience. If you definitively show that you are the best choice as a guardian, you have a chance.